As technology has advanced in digital music, users can download any kind of music imaginable from the web with just a few clicks. However, the wide variety of audio file types can be overwhelming. This guide to digital music formats will help you keep it all straight. The MPEG Layer 3 format combines small size with good audio quality. At 192 Kilobytes per second (Kbps), the sound quality is almost indistinguishable from a CD. The University of Leicester calculated that an MP3 compressed at 192 Kbps would only use 1 1/2 megabytes of storage for every minute of music. Platforms such as iTunes allow users to change MP3 compression to increase or decrease the audio quality and file size as they wish. Microsoft created their own version of the MP3, trademarked it as Windows Media Audio, and marketed it as an alternative to MP3s. The WMA format failed to catch on. As a result, listeners often need to convert WMA files to MP3 files to use them in other non-Windows applications. The same developers who created the MP3 also created the Advanced Audio Coding (AAC) format. It offers a sound quality similar to MP3s while using less memory. The format is common in iTunes, and, unlike the WMA format, it is widely accepted across music platforms. If you're short on memory space, AAC is a good option. The WAV format, created by Microsoft, is the industry standard for music professionals, and it is functional in all music platforms. Its excellent sound quality, however, means much larger file sizes. A typical three-minute song would take up 30 megabytes. Despite its large size, WAV is essential for music professionals because of its lossless CD-quality audio. Apple created its own version of the WAV, the Audio Interchange File Format (AIFF). In sound quality, file size, and universal functionality, it is no different from the WAV. The debate between WAV and AIFF is more of a Mac vs. PC argument. Music professionals with Macs tend to prefer AIFF while those with PCs tend to prefer WAV. FLAC, or Free Lossless Audio Codec, provides a middle ground between the MP3 and the WAV. Unlike the large uncompressed WAV and AIFF files, a FLAC is compressed to a smaller size. However, it is lossless, and it maintains the perfect sound quality of WAV and AIFF. Although not as small as an MP3, it is reduced enough to make music storage manageable. However, FLAC only works in PC environments. The Apple Lossless, or ALAC format, is Apple's answer to the FLAC. It provides the same benefits of the FLAC, but it only works with Apple products. MP4: The MPEG-4 Part 14 format, abbreviated as MP4, combines audio and video information into one file. It is most commonly used when you watch music videos on your iPhone, iPad, or other portable device. MIDI: A Musical Instrument Digital Interface file records the performance of a digital instrument so that other digital instruments or notation programs can read what it performed. Unless you're a composer or avid musician, you will not see many of these. MP3+G and WAV+G: When a karaoke system or software program takes a normal MP3 or WAV file and adds video and lyrics to it, it creates an MP3+G or WAV+G file. To create a karaoke-compatible file, all you need is an MP3 or WAV file with the vocals removed and a karaoke converter. OGG Vorbis: The Vorbis format is another compressed lossy audio type, but it is open sourced. This means developers can manipulate it without fear of patent infringement. This has no relevance for the music listener. Very few music platforms use Vorbis, and it offers no benefit for music fans who are not web developers. Portable Devices: The lossy formats of MP3 and the AAC are the best options for storing your music on portable devices. When ripping CDs onto your computer, set your file format preference to MP3 or AAC at 192 Kbps. This will ensure near-CD quality and small file size. 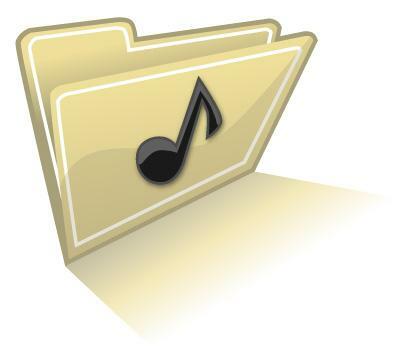 Archiving Your Music: If you wish to keep a permanent digital collection of your CDs, store them as lossless files. It will require more hard drive space, but it will retain the perfect sound quality of the CD. WAV or AAIF are the best choices because of their universality, but you can use FLAC or Apple Lossless if your hard drive space is limited. Burning CDs: If the CD you're burning is something you will keep for a long time, it is best to burn it in a lossless file format for the same reason you use lossless files for archiving: it preserves the quality of the original sound source. Burning MP3 CDs, however, is very common and is a good option if the CD is for temporary listening use. Don't become too attached to your MP3 and WAV files. There are some people, like Bob Dylan, who think digital music formats need improvement. He might be right. Computer technology is advancing at such a high rate that a new, superior audio format might come along very soon.